The results of the Bermuda Connection have been released. 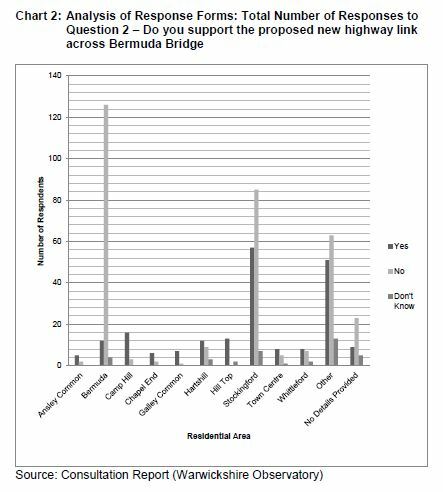 The public gave a firm thumbs down to the project with the majority of people NOT supporting the scheme. 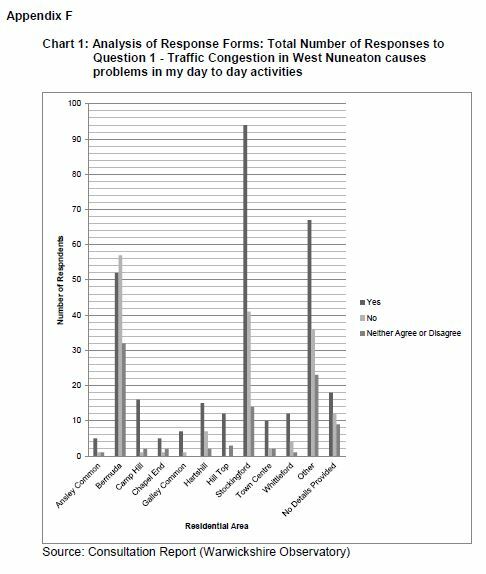 Despite this Warwickshire County Council (WCC) have ignored that the scheme is not wanted and public want a better solution to traffic congestion in West Nuneaton. Despite the various flaws in the project data WCC officers are recommending that Cabinet progress the scheme to the detailed design stage against public opinion. What is the point of consulting 28,000 people if the results are ignored? We urgently need people who are against implementing the scheme to email the elected representatives across Nuneaton and Warwickshire stating your concerns regarding recommending progression of the scheme. 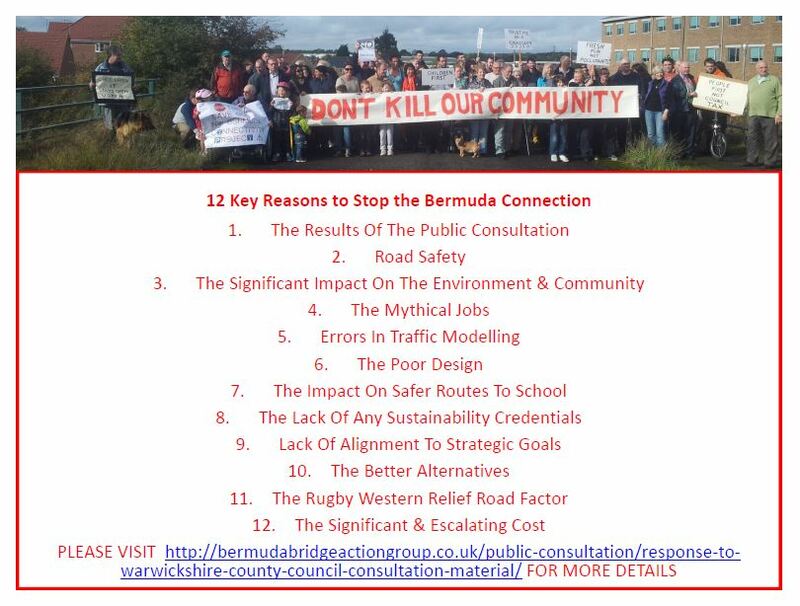 If you don’t have time to note else we ask that everyone send the attachment below which contains 12 key reasons why the scheme should be stopped. We have prepared a basic Email Template too which you could use. 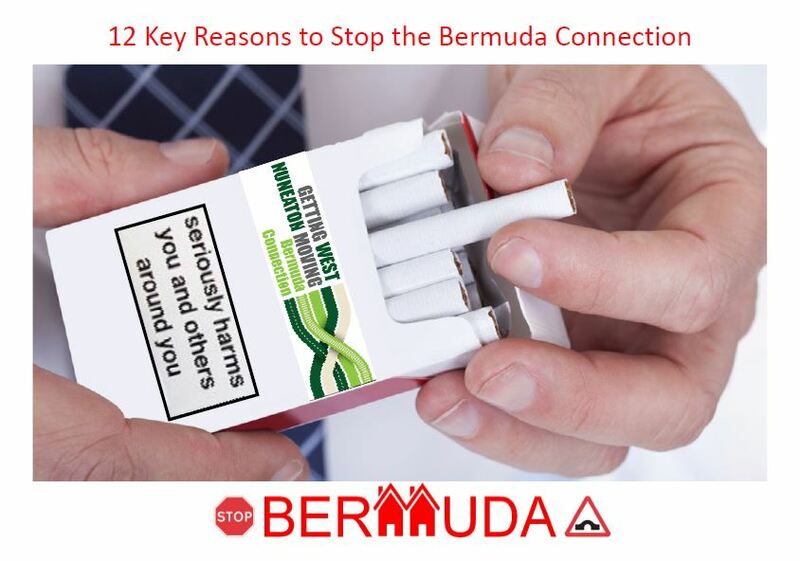 PLEASE ATTACH THE DOCUMENT 12 Reasons to Stop the Bermuda Connection TO YOUR CORRESPONDANCE AND EMAIL TO ALL OF THE ADDRESSES AT THE BOTTOM OF THIS PAGE.